Library services at Home (Birmingham’s Home Library Service) got together with some of their visually impaired members to discuss their memories and recollections triggered by the photos from the Britain from Above project. We have also added a few facts and dates for the project. Looking at the centre of the photo you will see the Clock Tower which is the world’s tallest free standing clock tower and is named after the Right Honourable Joseph Chamberlain. 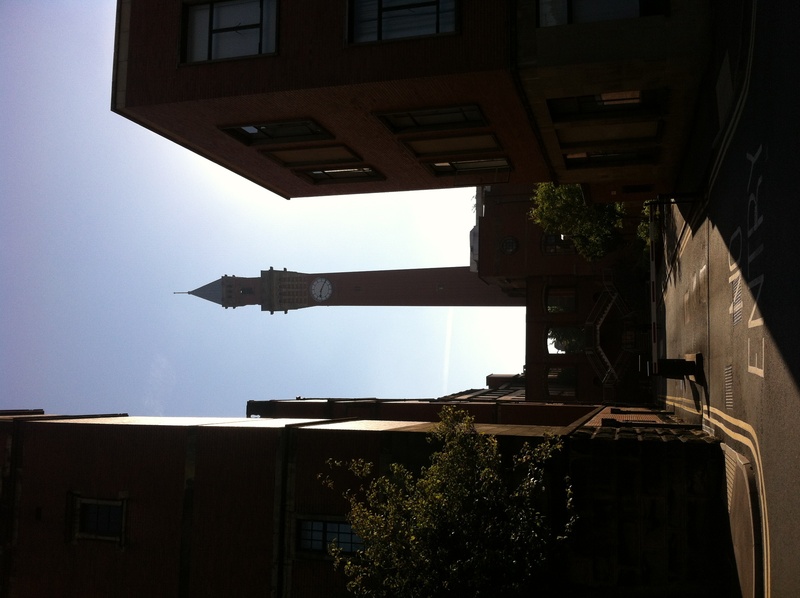 The clock tower was given the affectionate nick name of Old Joe by locals and students who attend the university. To the left of the clock you will see the Chancellor’s Court which can be recognised by the four large roof domes. The great hall, though not visible externally, is centrally situated inside the Chancellors building. 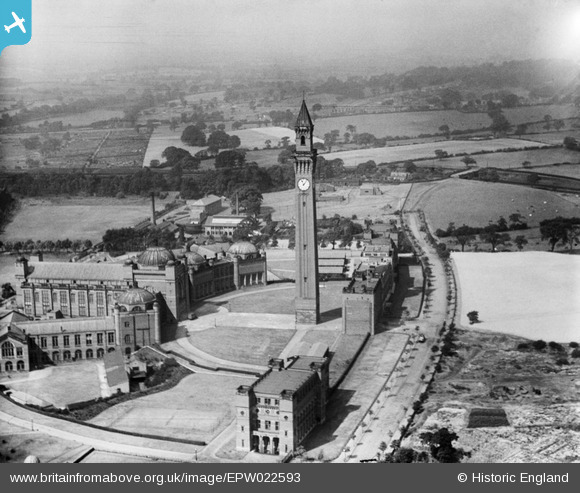 Mavis from Bartley Green recalls the clock tower as a very distinctive land mark due to its scale. Below is an audio description of the image. The narrator is Stan Hubbard. I'm at the University of Birmingham, attending the Enhancing Impact, Inspiring Excellence conference to learn about collaborative work between communities, archives and universities. 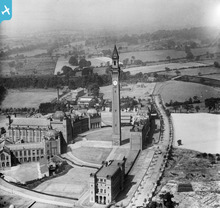 The University looks a bit different now, surrounded by suburbia and with new campus buildings from a range of dates.